Use out-of-the-box modules and connectors to access data sources, implement authentication and write your app’s backend logic. ApiOmat’s module market is where you can implement modules to bring more functionality to your app’s backend. 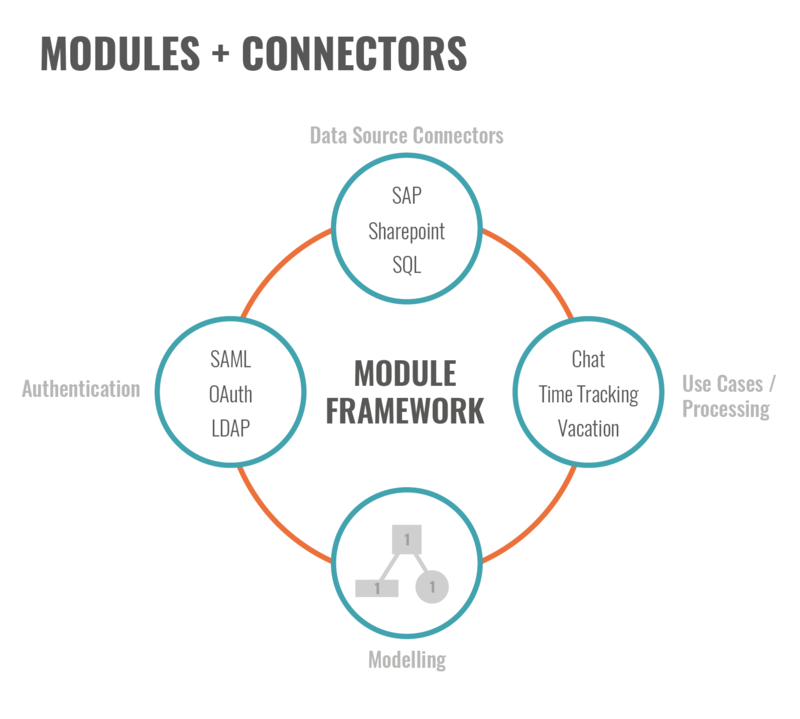 There are out-of-the-box modules for connecting authentication systems, connecting databases, integrating cloud APIs and enterprise IT and ready-to-use business logic. Though we don’t limit you to our modules, as you can create your own and share them across your projects. Use GIT or ANT-based development to create your own modules to implement complex business logic, integrate legacy systems, consume cloud APIs or connect to IoT devices. Use pre-defined modules to get data from any 3rd party system. Share modules across teams via our module market and configure them to fit your project. Quickly implement your authentication methods with out-of-the-box connectors to Active Directory, LDAP and SAML systems. Modules are implemented in JAVA using a straightforward framework. React on data model calls, execute cron jobs or implement your own REST interfaces in minutes. Additionally. the complete data modeling can be done via source code, enabling complete change management via source code management tools.